Vintage Fairies Frolic on a Lily Pad Label! Today I’m sharing this Vintage Fairies Frolic on a Lily Pad Label! Two fairies, one flying and one standing inside a lily pad flower, hold hands. One wears a pink sash the other blue. 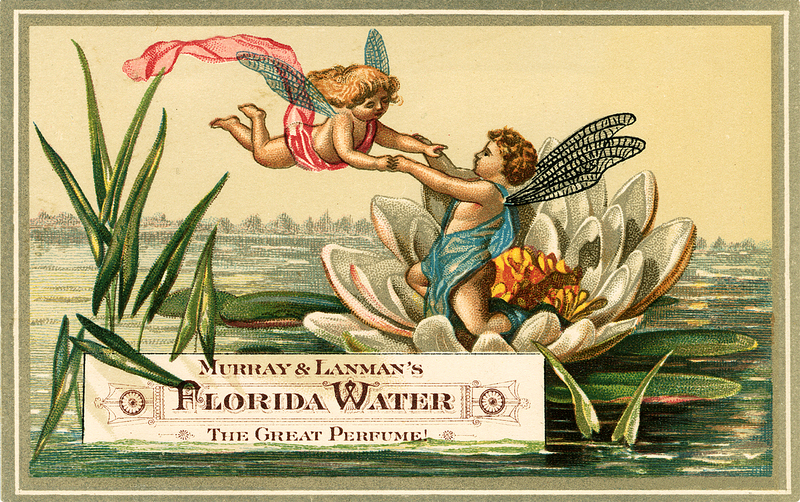 A cream textbox among the water and reeds reads, “Murray & Lanman’s Florida Water The Great Perfume.” The type is beautifully ornamented. So nice to use in your Spring Craft or Collage Projects! 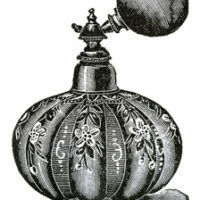 14 Victorian Ladies with Signs – Labels 17 Old Fashioned Perfume Bottle Clipart! 8 Vintage Valentine Fairy Images!